A landing page function has been added. Landing pages allows site managers to create visually attractive pages by simply choosing, ordering, and configuring premade sections. More information about using landing page function can be found here: https://lets.getopensocial.com/manual-landing-page. Landingpage functionality is sponsored by United Nations! 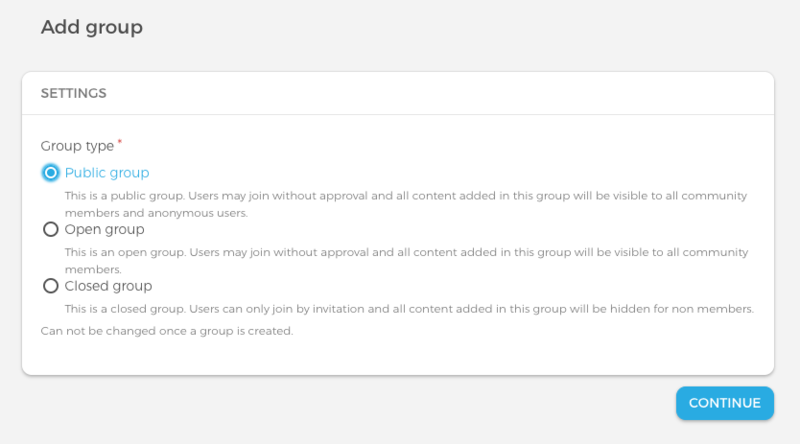 Besides making a group ‘open’ or ‘closed’, users can now make a group public in order to promote it outside the community and attract new members. 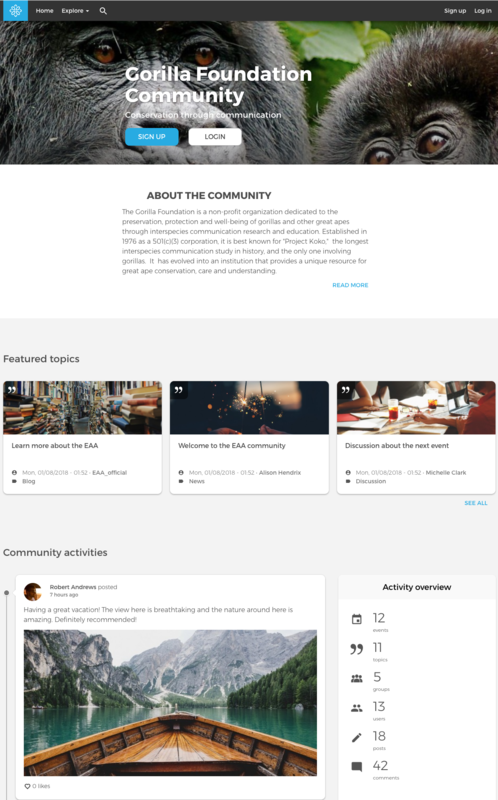 All the information in public groups can be seen by people who are not logged into the community. However they need to login in order to post or comment on content. Public Groups functionality is sponsored by Pachamama Alliance! Users can tag content (topics, events, book pages, and basic pages) with sets of terms predefined by site managers. This feature makes it easier to organise content. Users can also click on the tags to see other similar content. Read about how site managers can configure the tags: https://lets.getopensocial.com/manual-content-tag-settings. 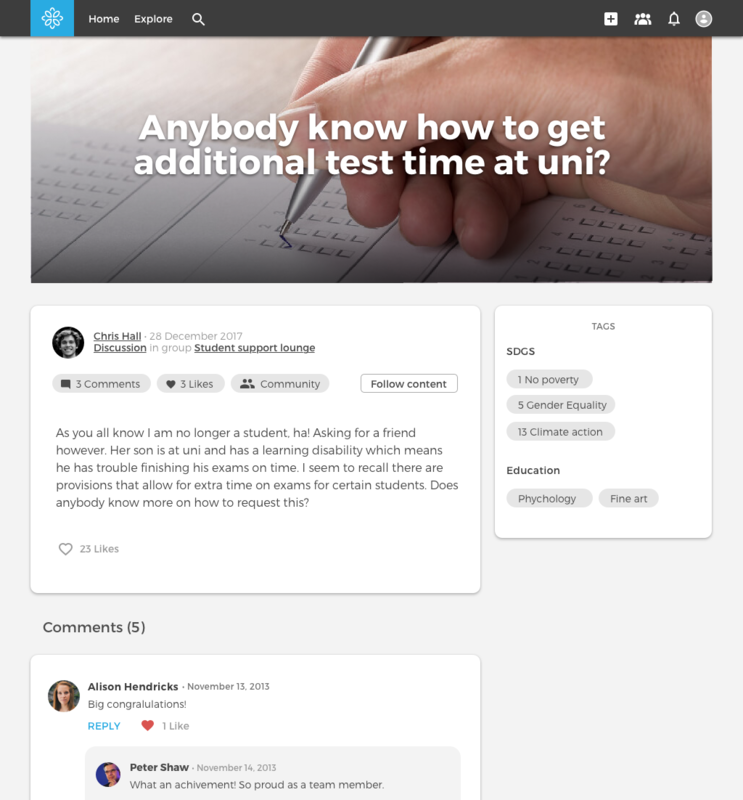 You can now send private messages to another user directly from a user overview or from a user’s profile. This improvement makes sending private messages much easier. Translation bugs: the translation function has been improved by fixing several untranslatable strings. Comment upload settings: the bug that blocked the access to the comment upload settings from the dashboard is fixed.